Get up to 7 free auto shipping quotes from the largest, most trusted Georgia auto transport companies and save up to 50% on your car shipping rates at CarMoves.com. Car shipping companies in Georgia compete for your business, which is how you can save hundreds, if not thousands of dollars on car transport services by shopping with us. Whether you're shipping a car to Georgia, across the country, or even overseas, we can help you get the best price on your shipment - guaranteed! Read more about the following auto transport companies in Georgia before getting a quote. Click on the name of the company to read a full review. AutoGo Transport Another new player in the car shipping industry, AutoGo Transport is one of the few brokers to clearly state that they inspect all transporters' equipment to determine their exact moving capabilities. The company also notes that it can ship just about any vehicle, including large farming and industrial vehicles. Honesty First Auto Transport Safe Direct Car Shipping, formerly known as Honesty First Auto Transport, is proud to describe their friendly, personal service. The company does not require an upfront deposit, and additional car shipping insurance is provided for all orders at no extra cost to the customer. Safe Direct Car Shipping also performs local shipments on smaller trucks. Ship Your Car Now Unlike many others in the car shipping industry, Ship Your Car Now does not charge an upfront deposit. Customers have rated their service an average of five stars on AutoTransportReviews.com, making them one of the site's best reviewed companies overall. The company is known for picking up and delivering cars on time. Get a free auto transport quote today to find out how much it costs to ship a car to or from Georgia! Georgia is one of the US states with the strongest, most influential cultures. 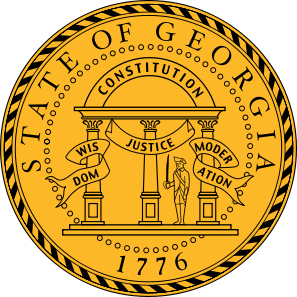 The last of the 13 original colonies, Georgia was also the last state to rejoin the Union after seceding during the American Civil War. Today, the state is one of the most prosperous in the US - Atlanta has grown into a particularly strong economic headquarters in the South. In terms of population, the metropolitan Atlanta area alone is home to more than 5 million people, making it the ninth largest in the country, and accounting for over half of the total population of the state. The Atlanta area is not the only growing area, as the total population of the state has been increasing by nearly 20% on average since the latter half of the 20th century. Economically, Georgia, if considered apart of the United States, would be the world's 28th biggest economy. The state generates a massive sum of money primarily from its agricultural pursuits. "The Peach State," as it is commonly known, has long been a farming wonderland. Of the long list of crops grown in the state, Georgia farmers produce soybeans, peanuts, corn, eggs, pecans, peaches, tobacco and cattle. A humid subtropical climate has resulted in fertile lands ripe for farming. Of course, to accommodate the state's continuously growing population, real estate markets have boomed in and around Atlanta, its suburbs, and other major Georgia cities. The other major industry in the state is US military, which has about a dozen military bases setup in the state, including a base for all five branches of the US military. Finally, Georgia does generate a portion of its revenue due to transportation and tourism. The Atlanta International Airport is the busiest passenger airport in the entire world, and attractions like the Georgia Aquarium in Atlanta and the Masters Golf Tournament in Augusta draw in significant crowds annually. The culture of Georgia and Georgians simply cannot be underestimated. The state's strong culture has had a bearing on the music industry, as artists and residents like Ray Charles displayed their rich heritage in their music. "Georgia On My Mind," the state's official song, is a testament to this, and it has been covered routinely by artists in the decades since its original writing in 1930. Georgia's food - peanuts, seafood, peaches, and a variety of Southern staples - carries the rich weight of Southern hospitality. Religion is another key component of the people's culture, as 85% of the population professes to be Christian, nearly 75% of them Protestants. Certainly, Georgia is one of the US's most integral states, which, along with Florida and Louisiana, has brought public awareness to the South. CarMoves.com works with car shipping companies throughout the state of Georgia. We can help you get the best prices on car transport services to the following cities in Georgia: Altanta, Augusta, Columbus, Savannah, Athens, Sandy Springs, Macon, Roswell, Albany, Johns Creek, Warner Robbins and many more. If you don't see your city listed, don't worry - we can get your vehicle shipped anywhere in Georgia. Scroll to the quote section on this page to compare free auto shipping quotes from up to 7 Georgia auto transport companies and save up to 50% on your move! View the Georgia Department of Transportation website for more information.